To take a peek into a frozen world. But have to look from a cold outside in. PLEASE PRAY FOR THE HOMELESS! support the homeless shelters in your city. Donations of baked goods, long underwear, warm coats, sleeping bags, and blankets are very much appreciated. “God, open the door of our cold hearts. This entry was posted in Christian Poetry, Prayer and tagged cold, help, homeless, shelter, warmth. Bookmark the permalink. Some time ago, I posted this. Today, I again feel the same way. I had decided earlier today to take the kids to McDonalds. It gave me an idea. I asked all my family to look around their rooms/wallets for spare change. We were able to collect quite the amount for 5 dollar gift cards to McDonalds (it helps if you have a lot of kids). Pingback: PLEASE PRAY FOR THE HOMELESS | ladylinchpin~Supreme Art Advocate! Heidi, your ideas, and your long comment to Debbie above, have inspired me! I love that idea of $5 gift cards. With Leyda (also above), I pray God blesses YOU as you bless others–including me! Nancy, thank you for your kind comment. God has over and over shown me how He longs for His children to show His kindness to those the world thinks very little about (Isaiah 58). Just this morning, I talked with my friend in Chicago (who has a ministry to the homeless). She told me that as she handed out gift cards -which God has provided over the past months OVER and OVER and ABUNDANTLY more than I could have even imagined. People felt so loved. The cards provide a homeless person with such dignity. As a paying customer, they can now sit and enjoy the warmth. She told me that one person has said it’s like having a “peace card” in his pocket. Many don’t know where their next meal comes from and this does bring some sort of peace. She also told me that many people had no place to go on Christmas. Some rode the el train in Chicago all day. Our Ladies’ Bible study recently cut out envelopes and made small cards. We attached Scripture verses and pictures (which I take on my walks). Then I wrote each person an individual note, about how much their Father loves them. I am thinking about writing a few blogs on how it all got started. While the ministry to the homeless encompasses so much more, this is small part of a big picture! Thanks again for your comment, Nancy … as you can tell I get very excited about this 🙂 Sending you much love! These are wonderful practical suggestions, Heidi. The food certificate idea is my favorite (aside from all powerful prayer). mine too, Wendy! Yes, prayer is a powerful weapon … God shows us in it how to love … (see Isaiah 58) … warm blessings to you! Shhh, it’s me Caddo. I’ll be liking/commenting alternately from one of my blogs or the other. God bless you BIG. Indeed, Melody! Thanks for stopping in … and stay warm! We were still out of school … but I did give my kids a science lesson … the one where you throw hot water out of a cup into the cold air… it turns immediately into snow … it was pretty amazing … we are still at -18C now … but are getting better … only one pipe froze in our house … got it all worked out though! Ooh, I should try that! How cool. My students would love it! Does it have to be boiling hot to work??? 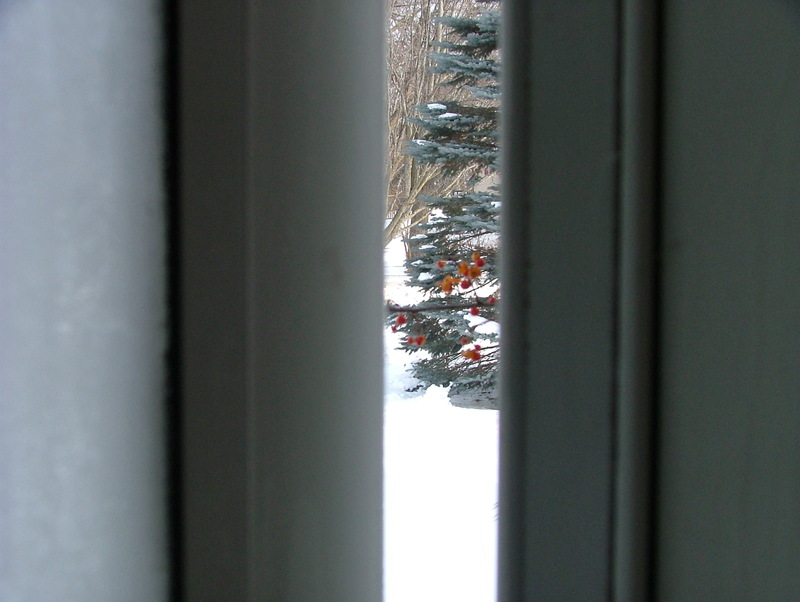 Ouch on the broken pipe – people don’t realize just how nasty sudden drops in temperature can really be. The water needs to be very hot. We boiled some water in a tea kettle. You could probably heat it up in cup in the microwave. I tried hot tap water and it was not hot enough. Good luck! Thank you, Heidi, for helping us to pray and to help. Would it be appropriate sometime for you to share with us the woman / place in Chicago that you have sent gift cards to in the past? God bless you! I actually have another blog where I have written about how God provided gift cards to Sandy victims. There I wrote about how God allowed me to connect 13 individuals who lost everything, with churches in our area who send boxes filled with gift cards. After those efforts, the Lord shifted the idea of the boxes to the east coast to fast food cards to the homeless in Chicago. Since the beginning of last year, God has allowed me to send many packages filled with five-dollar gift cards to Chicago. One of the most recent ones contained 120 (that’s 600 dollars worth). Through all of it, I actually have spoken to the manager at our local McDonald’s and we have talked about the Lord. I AM BLOWN AWAY. Hey, thanks so much for your encouragement … I am seriously thinking about blogging about it. Yes, the gift card idea came from a woman in Chicago, who ministers to the homeless. I heard her once on the radio, contacted her and we have gotten to know each other since. God has provided an abundance of cards for me to send to her… I think I will have to blog about how that all came about … It blows my mind how God works … when we lift our empty hands, He fills our hearts! Thanks, Sue, for reading and commenting … Stay warm, friend! Thank you Heidi for the reminder and the good ideas. I love your heart! I love it that when we care for what God cares for, He gives us the ideas along with the resources…. what a blessing to watch Him work on behalf of His beloved! That’s so neat, Deborah! How generous of you to use that money for those in need! I know that the homeless are blessed and God is glorified 🙂 Blessings to you, sister! I join you and great suggestions. Praying now! Thank you for your prayers, Tom! Warm blessings to you! Thank you for the reminder and the well thought out ideas! Thank you for reading and commenting! Warm blessings to you! that’s a powerful post … thanks so much for sharing it, JC! Blessings to you. Amen, Heidi!!! Planning on calling our local shelter today!!! Many hugs…much love sent your way! I am praying for God to lead you! I praise God for your kind and compassionate heart, sister!